The literary festival in Lillehammer has a tradition of inviting the previous year’s winner of The Astrid Lindgren Memorial Award, which means that Kitty Crowther was a special guest at the festival this week. 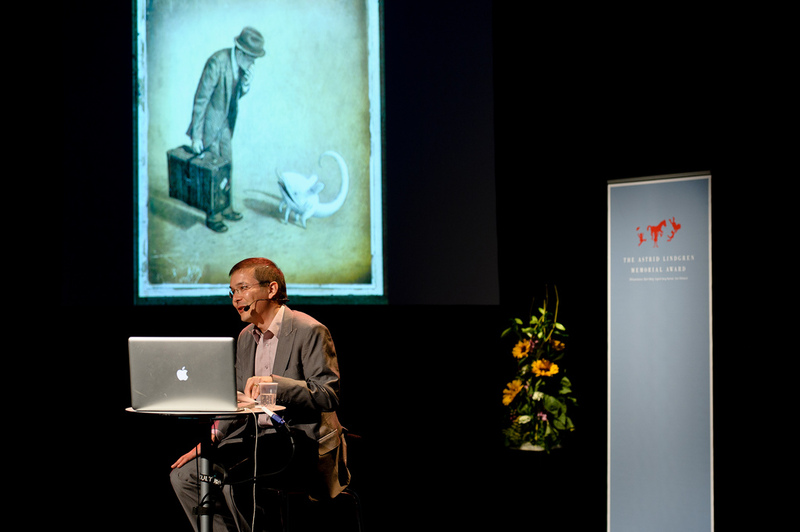 But this year was special in Lillehammer since the festival had invited Shaun Tan – even before he was announced as this year’s recipient of the Astrid Lindgren Memorial Award. 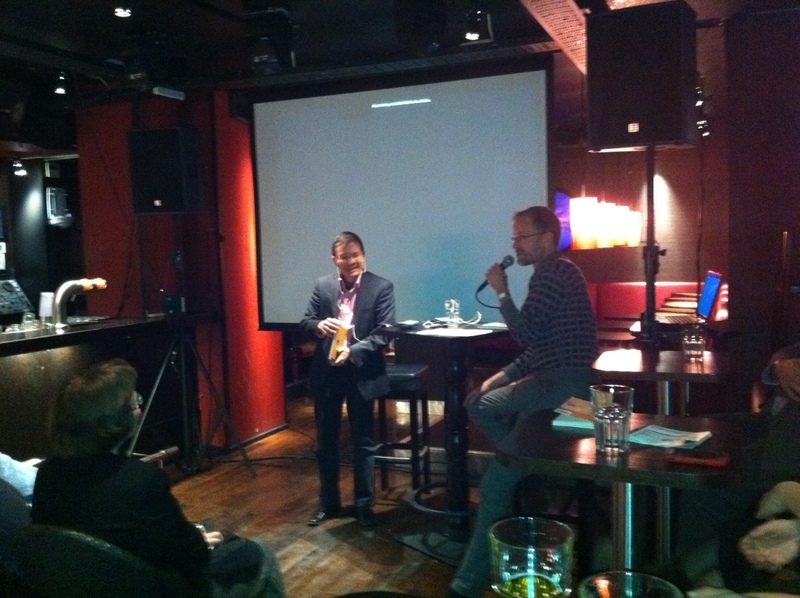 Shaun Tan had a busy schedule in Lillehammer with interviews, presentations and signings. He also introduced a screening of his Oscar-winning short animated film The Lost Thing. 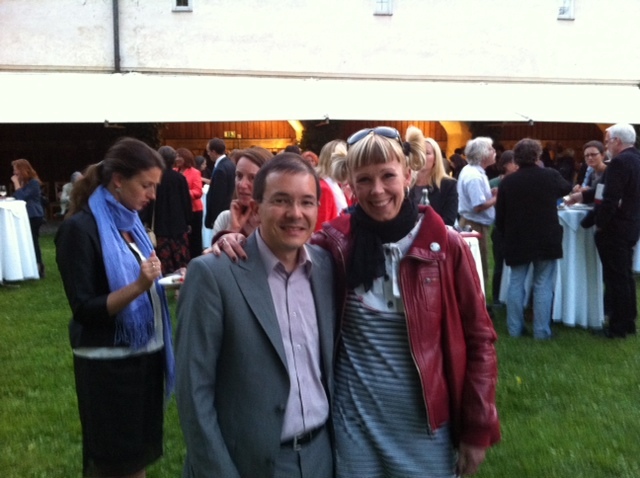 In Lillehammer, Shaun Tan had a talk with Norwegian illustrator – and Astrid Lindgren Memorial Award nominee – Stian Hole. Kitty Crowther held presentations, a work shop with young children and a reading of her book La visite de Petite Mort in the evening. 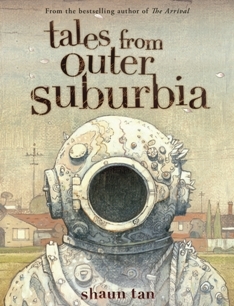 Shaun Tan read the novel No other Country from Tales from Outer Suburbia, published by Cappelen Damm in Norway. The Astrid Lindgren Memorial Award cooperates with the International Youth Library (IJB) in Münich, Germany. The past three years the winner has held a lecture at the IJB on the way to picking up the award. The IJB is a magical place. Situated in a castle, it is the world’s largest library of books for children and young adults. 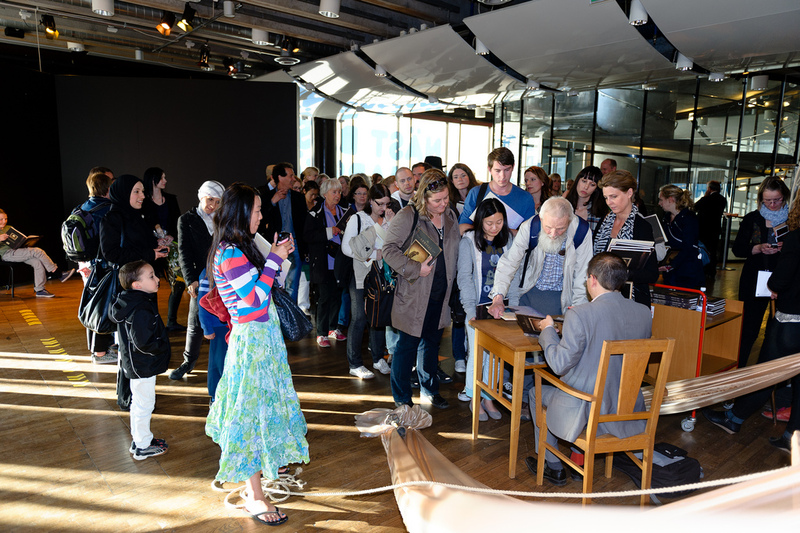 Astrid Lindgren was an honorary member and visited the library personally. This year’s event proved to be extra special as H.R.H. Crown Princess Victoria and Prince Daniel also came to the IJB. 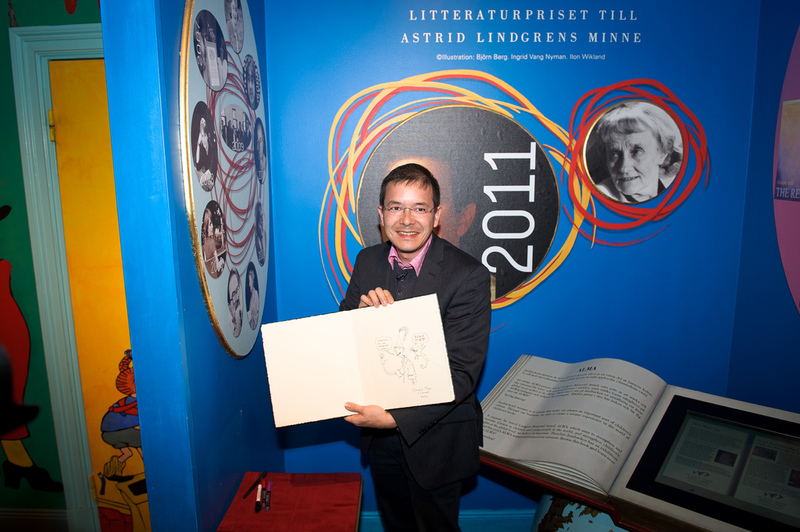 This gave the Crown Princess an opportunity to meet with Shaun Tan before presenting the Astrid Lindgren Memorial Award to him on Tuesday the 31st. 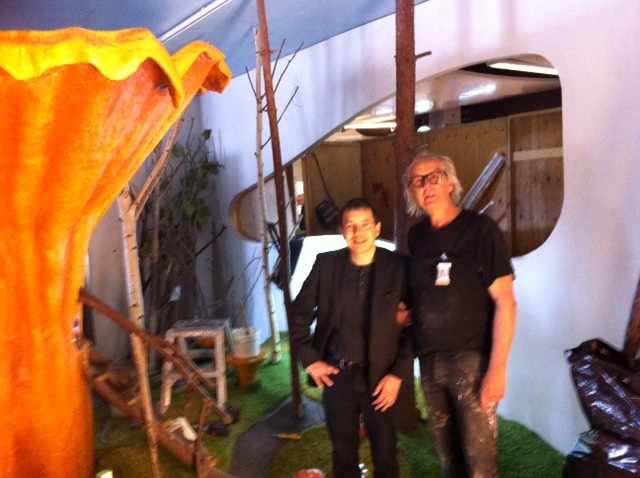 On the way to Münich, at Arlanda airport, we ran into artist Tor Svae who was busy building a special Junibacken lounge for children travelling alone in terminal 5. Tor Svae gave us a quick tour of the giant mushrooms before we boarded our flight. Once in Münich, Dr. Christiane Raabe, the director of IJB gave Shaun Tan and the Crown Princess with entourage a brief tour of the library before a reception with especially invited guests. Both the Swedish ambassador to Germany, Staffan Carlsson as well as the Crown Princess herself held speeches congratulating Shaun Tan. 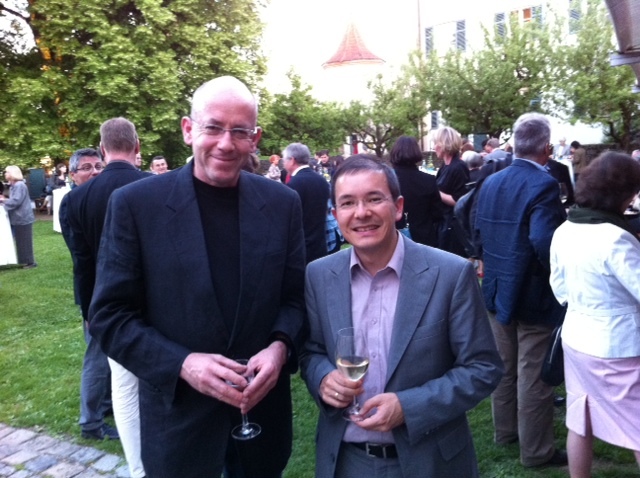 At the following reception Shaun Tan met up with fellow Australian writer – and Astrid Lindgren Memorial Award nominee – Morris Gleitzman. Morris Gleitzman was in Germany to receive the Catholic Church’s book award for his critically acclaimed novel Once. 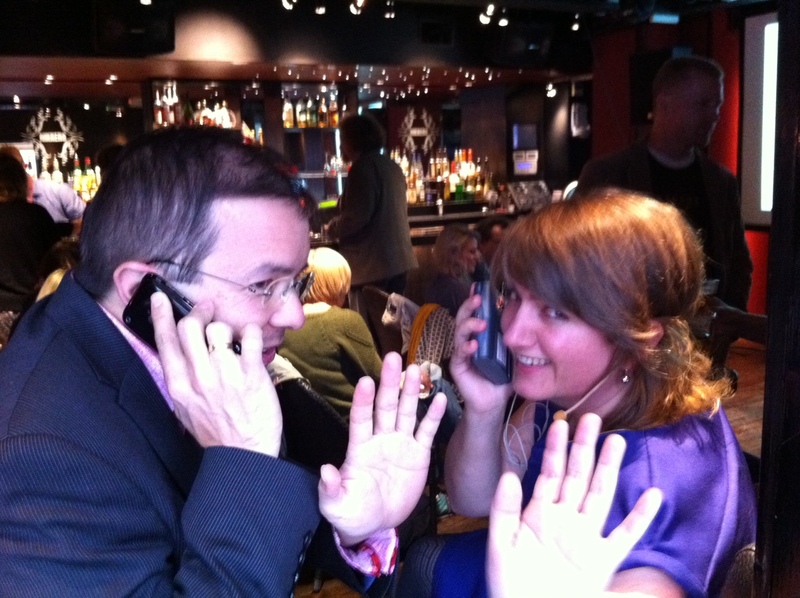 We also met up with illustrator Judith Drews, representative of the German nominating body Illustratoren Organisation. 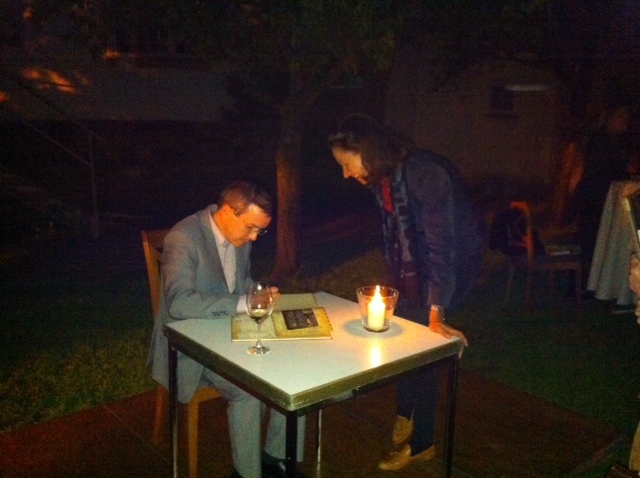 Many of the guests wanted to have their books signed by Shaun Tan, who kept on signing as the sun was setting. The morning after Shaun Tan left Münich for Lillehammer, Norway. 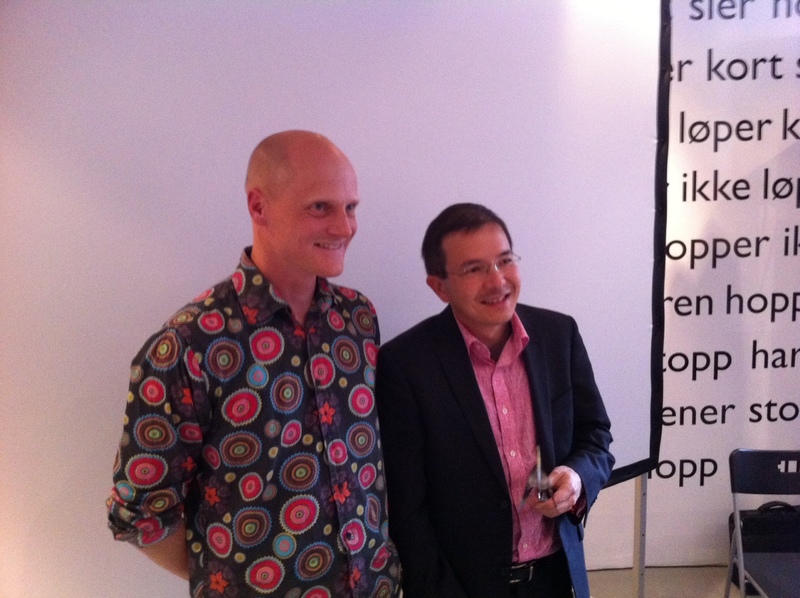 On the way to the airport we travelled together with Claus Humann from Carlsen Verlag, Shaun Tan’s German publisher. 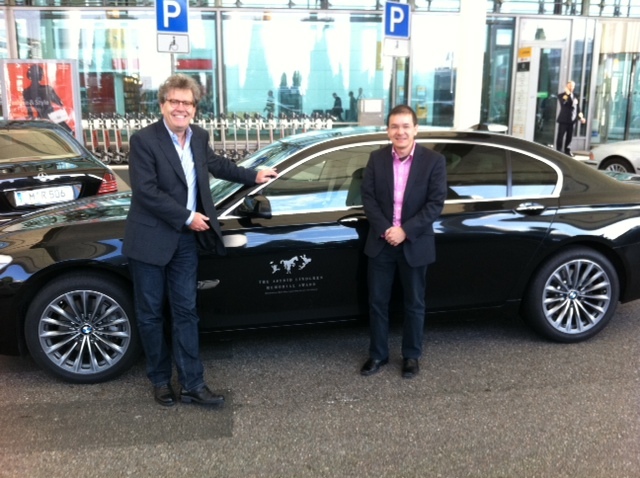 The car with the ALMA-logo on the side was graciously provided to us by BMW. Shaun Tan was recently interviewed by Louise Epstein on Swedish national radio. Among other things, they talked about the social commentary in his books. You can listen to the full interview here! 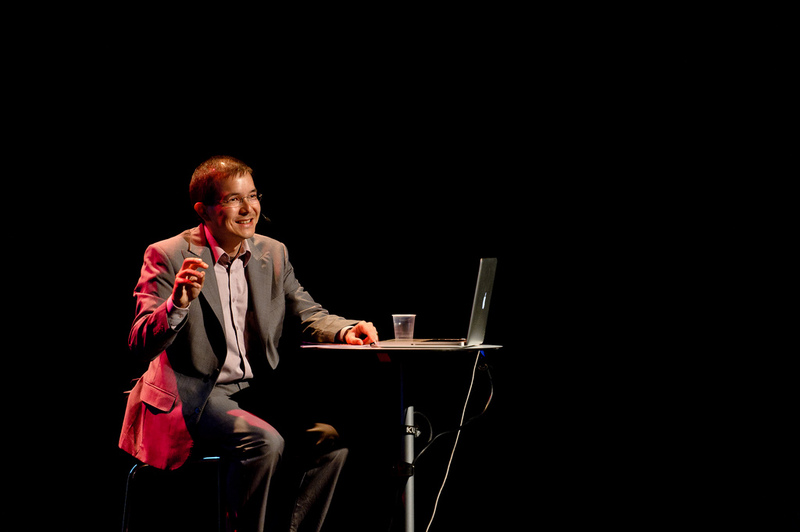 Tuesday evening, the auditorium at Kulturhuset in Stockholm was filled to the last seat with an enthusiastic audience listening to Shaun Tan’s Astrid Lindgren Memorial Award lecture. Katti Hoflin welcomed the audience and Kennet Johansson, Director General of the Swedish Arts Council, welcomed Shaun Tan on stage. “A good creative idea is little more than a hunch, an intuition that something meaningful is out there, over in the darkness beyond the houses, trees and power-lines. It can’t be spoken of directly: explanation or advice won’t work here. For an idea to really weave itself into the fabric of your memory, it must be experienced first-hand: you have to find your own resolution. This is what good literature offers the reader, and especially the young reader, encountering so much of this world for the first time, and children will happily respond to anything that respects their own insight, without telling them what to think. After the lecture, as Shaun Tan exited the auditorium, a very long line of readers were waiting to have their books signed. In the foyer, artist Tor Svae had made an installation inspired by Shaun Tan’s book The Arrival and his animated film The Lost Thing was screened. 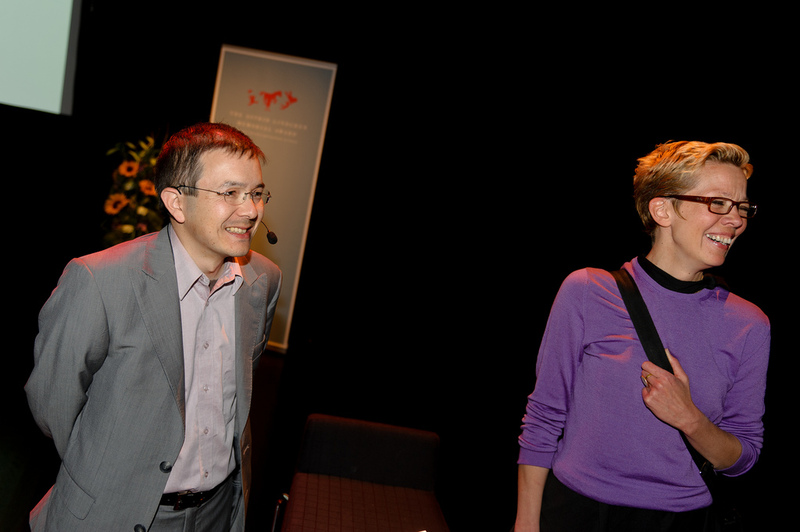 For anyone who missed the event, the complete lecture will be broadcasted by UR Samtiden on 30th of May at 17.30. It will also be available on demand here. 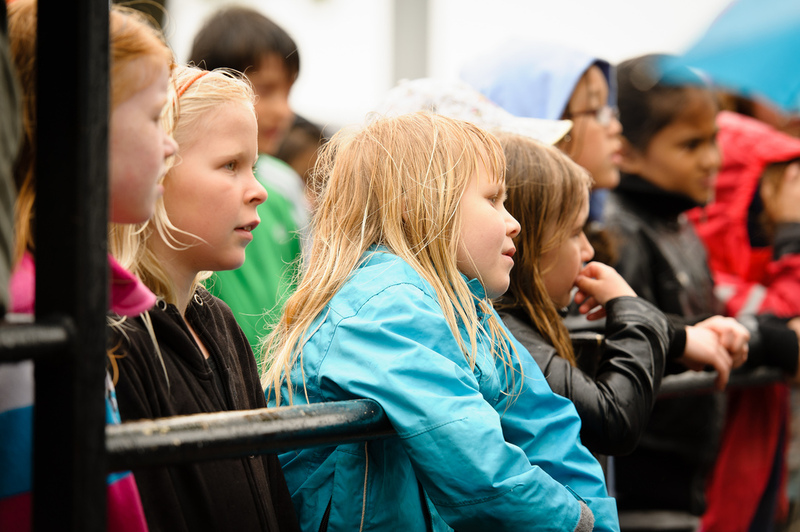 Together with Skansen, the Education Administration of Stockholm and the city library, the Astrid Lindgren Memorial Award organizes the competition Children and Books. This year’s theme was City versus Country. Schools in the whole Stockholm region read books connected to this theme and created their own interpretation of what they read. 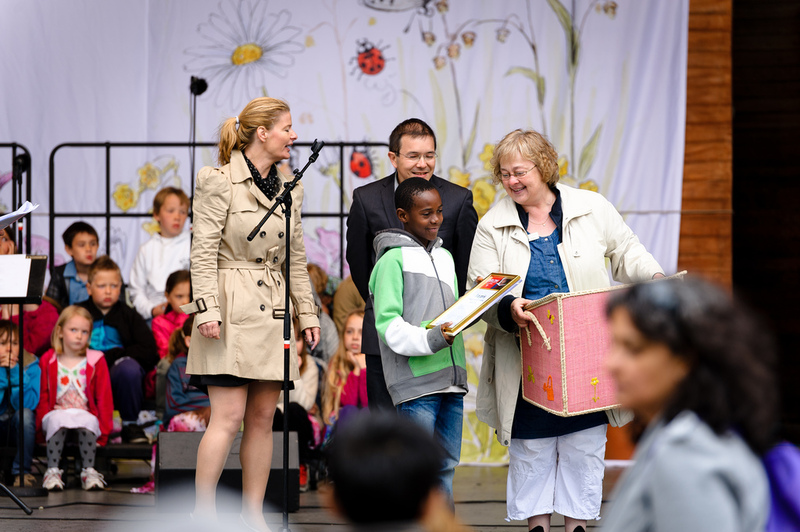 The winners were awarded at a ceremony at Skansen and the prizes – books, of course! 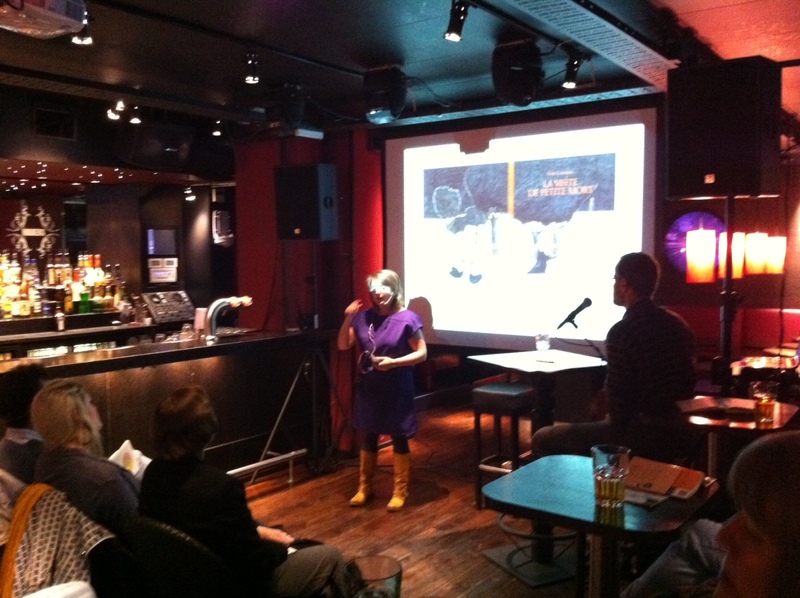 – were presented by Shaun Tan and the vice Mayor of Stockholm Lotta Edholm. 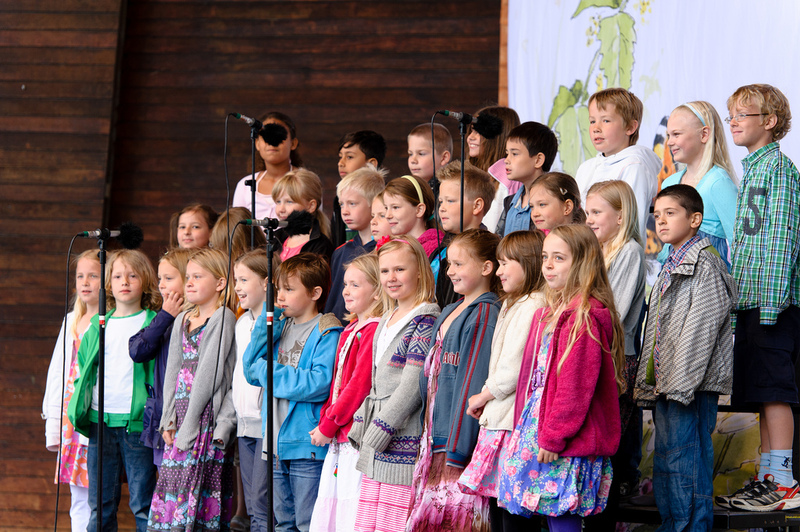 The ceremony was also the starting point of three days of readings and work shops for children at Skansen. 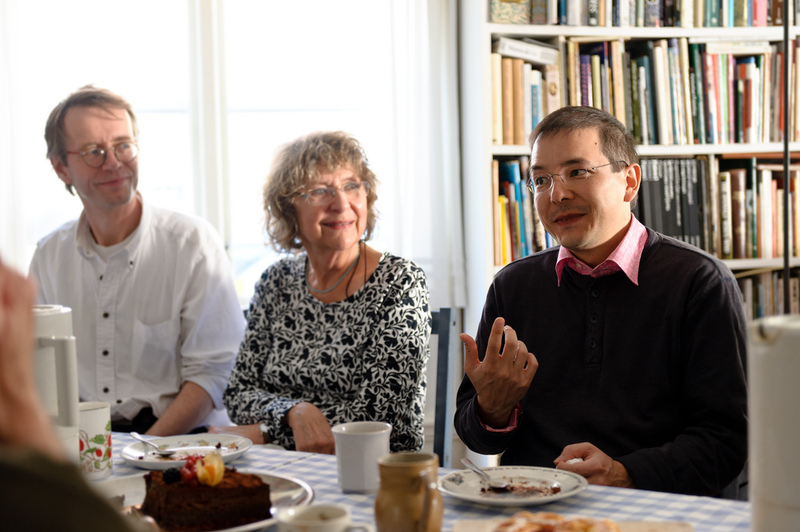 While in Stockholm to pick up the Astrid Lindgren Memorial Award, Shaun Tan took the opportunity to meet with fellow authors and illustrators working an living in Sweden. 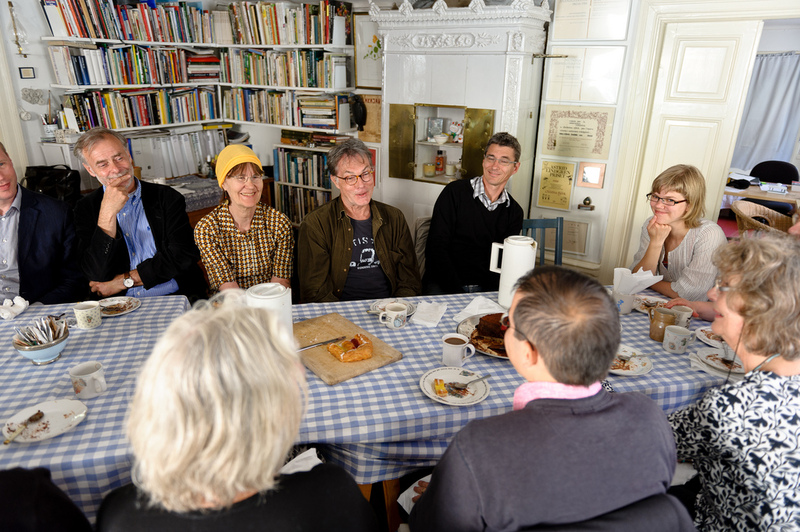 The meeting took place in a writer’s studio in a beautiful house from the 18th century. 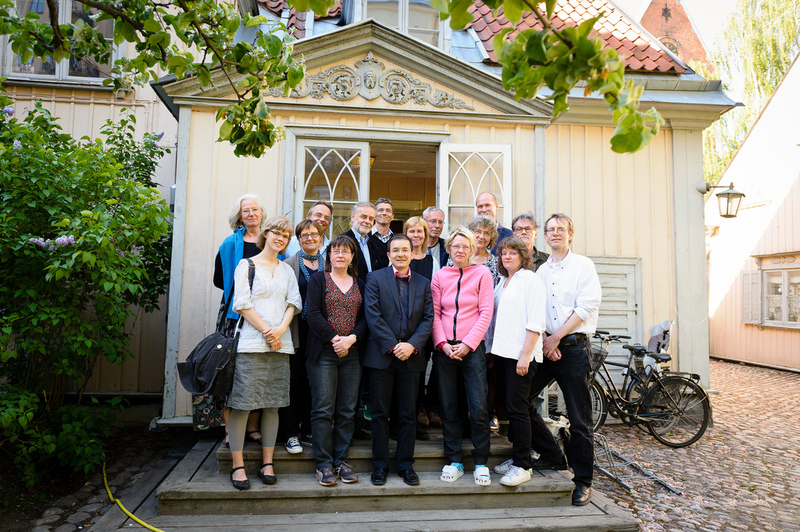 Many members of the Swedish Academy for Children’s Books were present. The Academy is dedicated to promoting good literature for children and young adults. The eighteen members also strive to influence politicians, institutions, and public opinion in the area of children’s literature. 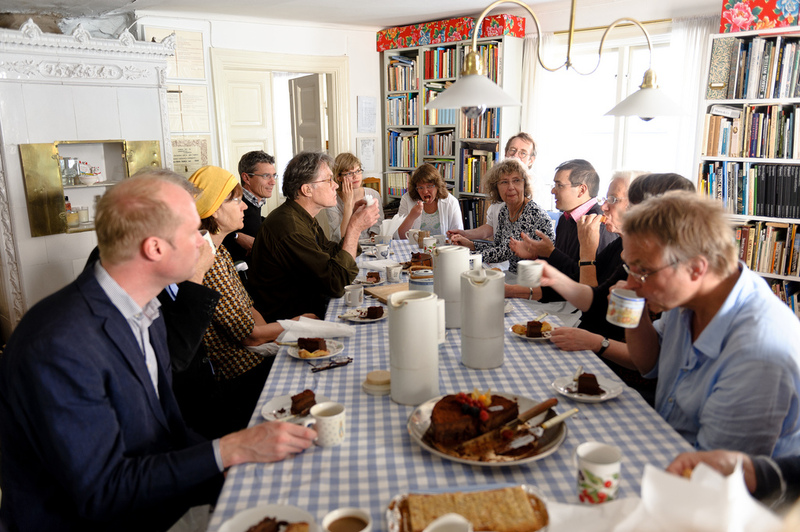 Authors and illustrators such as Christina Björk, Sven Nordqvist, Beate Grimsrud, Anna Bengtsson and Jujja Wieslander, as well as jury members Stefan Casta and Mats Berggren greeted Shaun Tan with rich chocolate cakes and with english editions of their books. 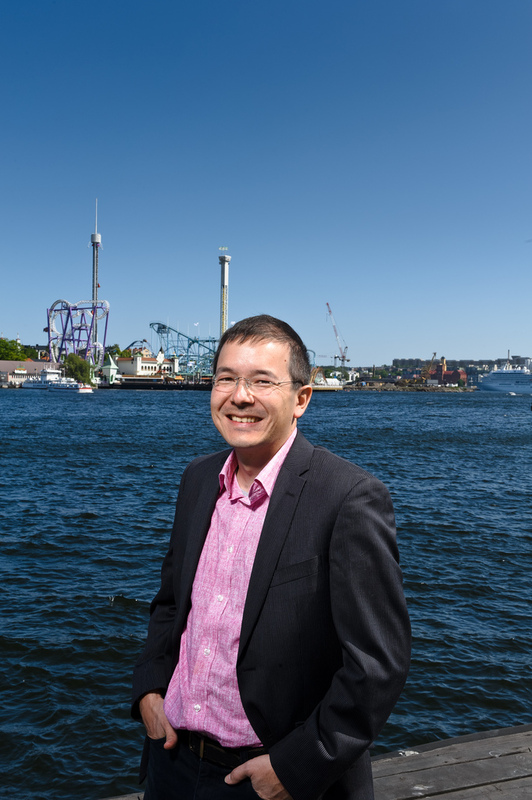 This morning this year’s Astrid Lindgren Memorial Award winner Shaun Tan visited Junibacken, the house of fantasy play in the middle of Stockholm. Just outside stands the sculpture of Astrid Lindgren, created by Hertha Hillfon. At Junibacken all winners are presented in a display designed by Suzanne Crepault and it is customary that they sign a guest book upon their visit to Stockholm. Shaun Tan illustrated the character from his book The Lost Thing. 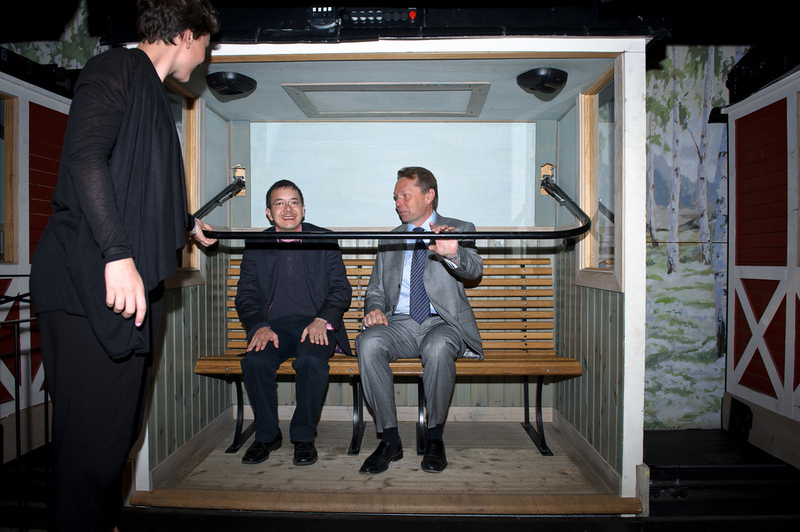 Of course there was time to go on the ride through the stories of Astrid Lindgren, together with CEO Ulf Larsson. There was a brief stop for an interview in the land of the Brothers Lionheart. Just in time for Shaun Tan‘s arrival to Stockholm, two new language editions of his remarkable picture book The Red Tree are available in bookstores. 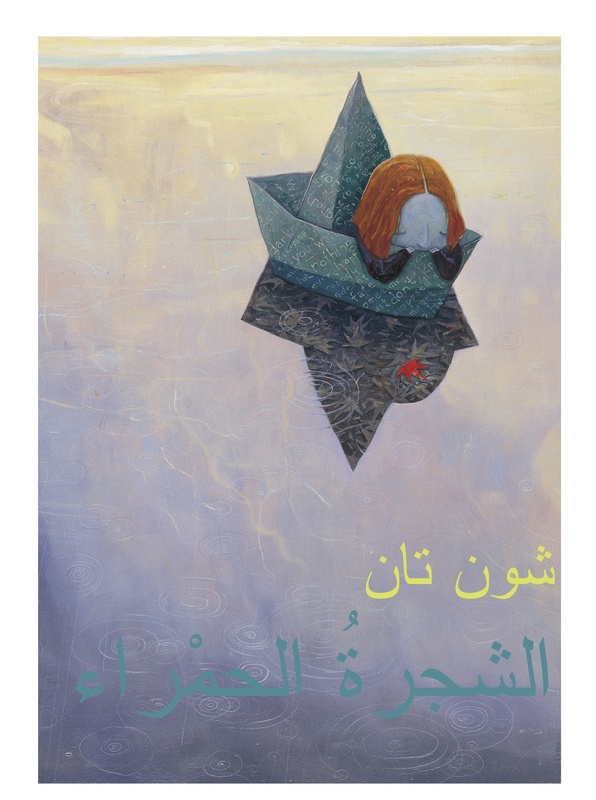 The Swedish edition is published by Kabusa Böcker and the Arabic edition is published by Dar-Al-Muna. 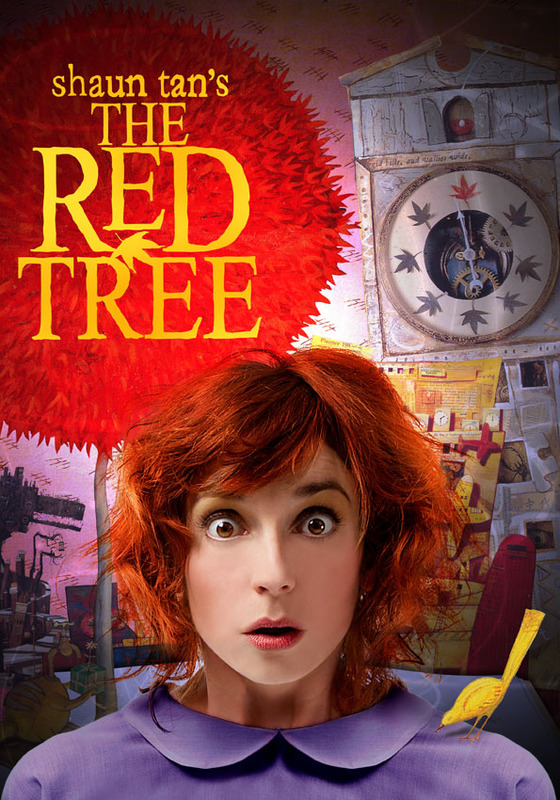 The Red Tree lends itself to interpretation and has been adapted for the stage. Soon the Barking Gecko will premier their stage version of the book. 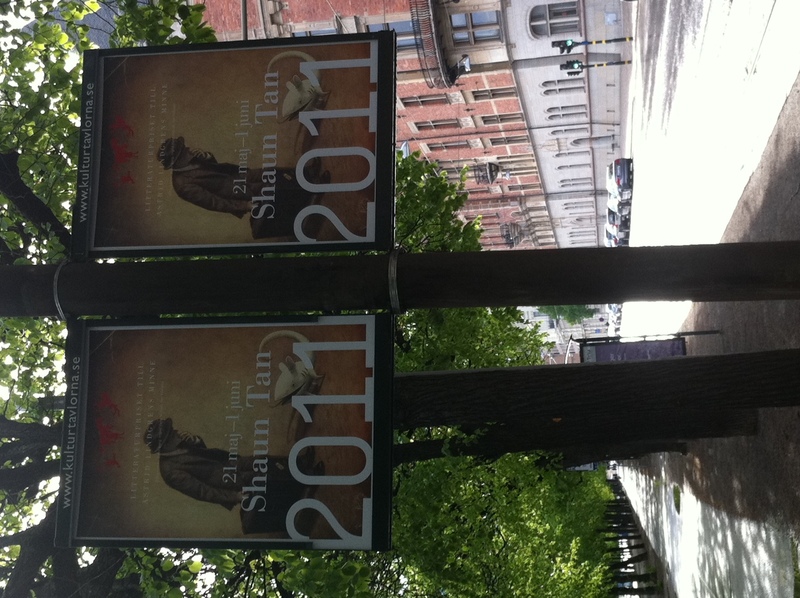 These posters are now lining the streets of Stockholm, to welcome this year’s Astrid Lindgren Memorial Award recipient – Shaun Tan! Arriving on Saturday, his first public appearence will be the open (and free!) 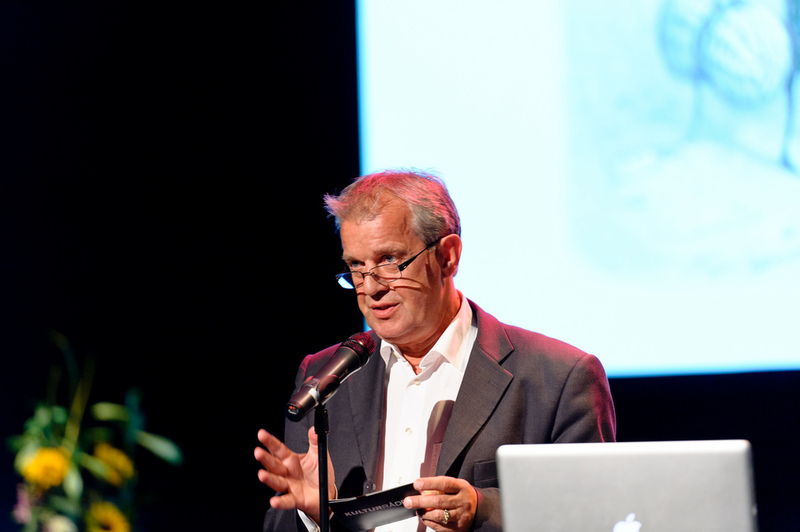 lecture held at the House of Culture in Stockholm on Tuesday 24th of May at 17.30. Welcome! 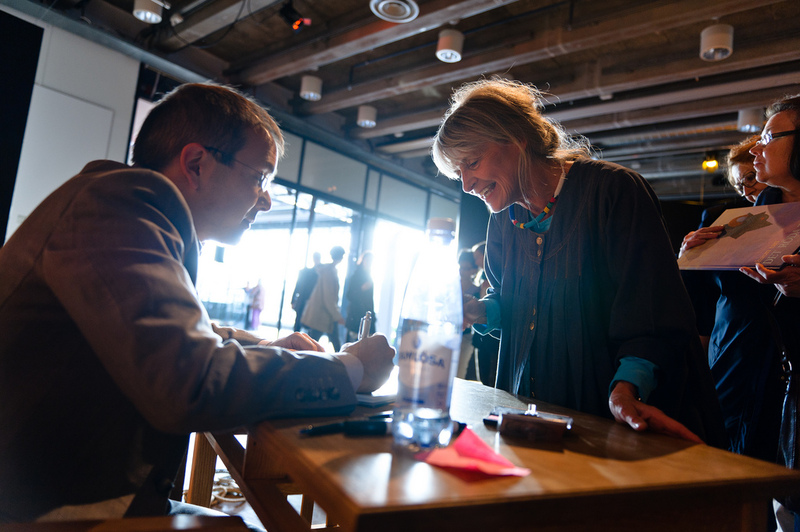 Fans of picture books will have an exclusive opportunity to see two of the world’s leading artists meet in Stockholm on Monday the 30th at 3 pm. 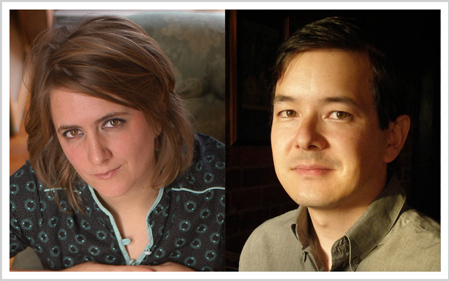 They are illustrators of the same age and have both been selected as recipients of the world’s largest award for children’s and young adult literature. But they come from different continents and have very different artistic expressions. On Monday, May 30th, this year’s recipient of The Astrid Lindgren Memorial Award, Shaun Tan, meets the Belgian illustrator Kitty Crowther, the 2010 recipient. 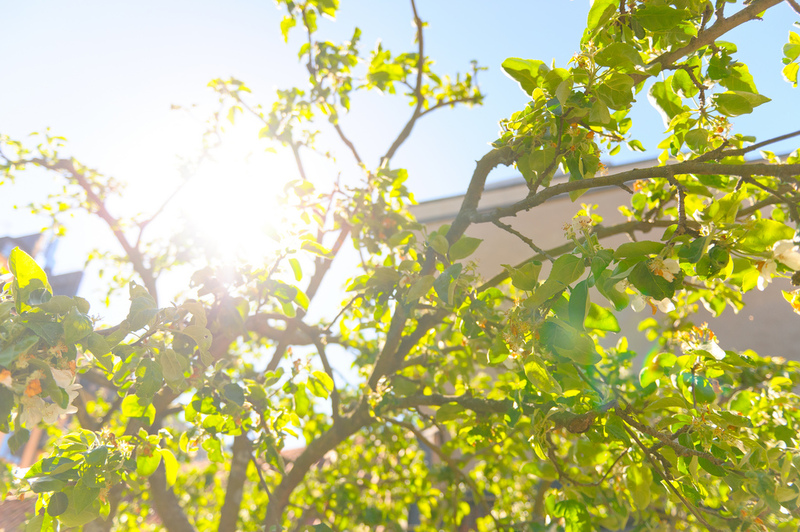 Monday May 30th at 3:00 p.m. The Riksdag Library, Storkyrkobrinken 7A. Open to everyone, but limited seating. Free admission. The presentation is in English. Moderator is the journalist Gunilla Kindstrand.